This is a great story. 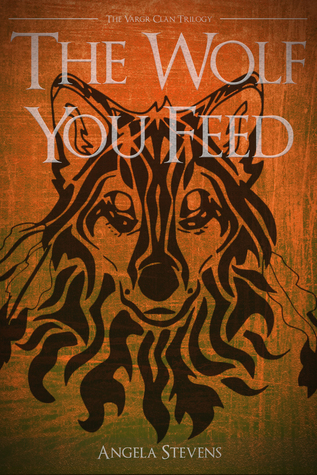 It definitely isn’t like most wolf shifter romances and is completely unlike werewolf horror stories. I loved it. There is a long time frame covered in this book, so if you love epics, this is definitely the book for you. If you love wolf shifters, this is the book for you, because of how neat it is to see their point of view.I loved the main characters wholeheartedly. Seeing the world as a male wolf shifter teenager interacting with other wolf shifters and normal humans through very difficult situations was a unique point of view. I loved Tore, he is the perfect man, not in the sense of being gorgeous, rich and powerful, like so many books define the perfect man, but in the sense of being generous, kind, supportive, making the best decisions for everyone–like the real man we all want to marry or have as our father. I picture him as gorgeous, too. I loved that there were cubs, and they were born in wolf form–that was so neat. When you read this you are entering a new a different world. The wolf shifter culture portrayed is really completely defined, with so many parts of the wolf shifter culture explored in depth. There is good and bad about that culture, which makes it realistic. I loved seeing the different ways normal humans and the wolf shifters interacted. There is so much I can’t tell you, because this book is a great discovery as you go–I don’t want you to miss out on it. I received an ARC copy of this book and this is an honest review. Hold On, book 2 of the Trilogy is now available!